Fatalities caused by H7N9 human infections have been reported in multiple provinces across China. “Eight cities in east China’s Jiangxi Province reported a total of 28 human H7N9 avian flu cases, including seven fatalities, from Jan. 1 to Feb. 12 this year, the provincial health and family planning commission said Thursday,” said a report. At least 192 infections, including 79 fatalities, were reported in 16 provinces in January, health authorities said. Human infections of H7N9 avian flu strain was first reported in China in March 2013. 45 Million Birds Affected by Avian Flu in U.S. Infected Commercial Flocks. Commercial flocks have been infected in at least 15 States: Arkansas, California, Idaho, Indiana (May 10, 2015), Iowa, Kansas, Minnesota, Missouri, Montana, Nebraska (May 11, 2015), North Dakota, Oregon, South Dakota, Washington and Wisconsin. Iowa’s Gov. Branstad has extended a State of Disaster Emergency Proclamation until July 1 as more farms continue to report new cases of the deadly avian flu virus in their poultry flocks. Nebraska Gov. Ricketts proclaimed a state of emergency in May following the discovery of avian influenza in the state’s poultry sector, according to a statement posted on his website. The Dutch government has warned the highly contagions strain, H5N8, could be transmitted from poultry to humans, and have imposed a three-day nationwide ban on the transportation of poultry and eggs. Authorities are destroying more than 150,000 birds at the infected farm, in the village of Hekendorp, and have set up a 10-km (six-mile) exclusion zone, said local reports. Some 700 Dutch poultry farms export more than 6 billion eggs each year. H5N8 cases have also been reported in China, Germany, Japan and the UK, so far this year. The deadly H5N1 strain has a mortality rate of about 60% in humans, killing about 400 people over the past ten years. FIRE-EARTH Models estimate that more than 500 million birds have been destroyed over the past 10 years to prevent the spread of various avian flu strains. Avian flu epidemic outbreaks have struck at least 22 of Vietnam’s 58 provinces, so far this year, forcing the authorities to destroy tens of thousands of chickens. The Animal Health authorities in Vietnam plan to import 60 million doses of H5N1 vaccine, according to reports. New York and Philadelphia experienced a decline in economic activity, which was mostly attributed to the “unusually severe weather” experienced in those regions, said the Federal Reserve in its latest Beige book report. Manufacturing was affected in multiple regions including Atlanta, Boston, Chicago, Cleveland, Dallas, New York, Philadelphia, Richmond and St. Louis due to extreme weather utility outages. Although the word “weather” appeared 119 times in the report, as noted by Reuters, economists say the report unhelpful because it did not clarify the extent to which weather was responsible for the soft economic data. “The Supreme Council of the Crimea on its session has made a fundamental decision for the Autonomous Republic of the Crimea to join Russia as a federal subject,” reported Itar-Tass. First Deputy Prime Minister of the Autonomous Republic of Crimea announced on Thursday the legislature had approved in principle the republic’s accession to Russia. A referendum to ratify the vote is scheduled for March 16. “This means we have reunited with our motherland which we have been a part of for so long,” said Crimea’s deputy parliamentary speaker. However, Crimea’s Deputy PM has dismissed the suggestion, saying Crimea views the new government in Kiev as illegitimate. Meanwhile, the U.S. Navy reveled that a guided missile destroyer, the USS Truxton, was heading to the Black Sea, as part of a long-planned training exercise. A 5.6Mw earthquake struck 25 km (15 miles) NW of Jalalabad, Afghanistan, killing about a dozen people and injuring many more. The quake was centered at 34.517°N, 70.207°E, and struck at a depth of about 60km, Wednesday, April 24, 2013 at 09:25 UTC. USGS/EHP reported. Many homes have been destroyed, according to reports. A large block housing garment factories and shops collapsed in Dhaka Bangladesh on Wednesday, killing about 100 people and injuring more than a thousand, officials have said. 96 bodies have so far been recovered, as the death toll continues to grow. 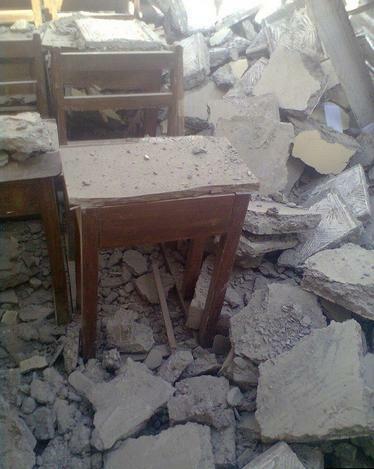 “It looks like an earthquake has struck here,” said a local residen. Five garment factories, which supply retailers including major brands in Britain, Canad, Denmark, France, Germany, Ireland, Spain and the United States, were housed in the block, despite cracks in the building, said a report. “It is dreadful that leading brands and governments continue to allow garment workers to die or suffer terrible disabling injuries in unsafe factories making clothes for Western nations’ shoppers,” said War on Want a U.K. anti-poverty charity. The White House has declared a major disaster exists in the Commonwealth of Massachusetts in the area affected by the severe winter storm, snowstorm, and flooding during the period of February 8-9, 2013. The worst affected areas include Berkshire, Bristol, Essex, Franklin, Hampden, Hampshire, Middlesex, Norfolk, Suffolk, and Worcester counties. The White House has declared an emergency exists in the State of Texas due to the continuing emergency conditions resulting from a catastrophic explosion in McLennan County that occurred April 17, 2013. Taiwan health authorities have confirmed the country’s first human infection of H7N9 avian flu on Wednesday, said a report. Health authorities in China have confirmed 4 new cases of human H7N9 avian influenza infection, including two in Zhejiang, one in Anhui and the first case in Shandong province. The latest cases raise the total number of H7N9 infections to 108, including 22 fatalities. 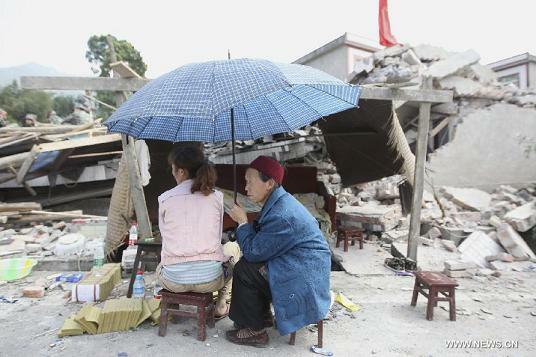 The magnitude 7.0 quake, which struck the mountainous Lushan County of Sichuan Province in SW China on Saturday, has killed up to 208 people (184 bodies recovered, 24 others missing), injured more than 11,500, including about 1,000 serious injuries, left an estimated 150,000 people homeless, and directly affected at least 1.5 million people. More than 2,300 aftershocks have been recorded in Lushan County as of 4 p.m. Beijing time on Monday, the China Earthquake Administration (CEA) reported; however, only four of the initial shocks were significant, measuring greater than 5.0Mw. More than 200 major landslides have blocked 57 roads and highways in 3 areas within the quake damage zone, China’s CCTV reported. The landslides have also severely damaged much of the vegetation in the disaster zone increasing the likelihood of more landslides triggered by rain. Freeze frame from a CCTV video clip showing one of more than 200 major landslides that have caused 57 road and highway blockages in the quake hit area of Sichuan Province, SW China. Intense fighting between the Nigerian military forces and Boko Haram militants in Baga, northern Nigeria has reportedly killed about 200 people. 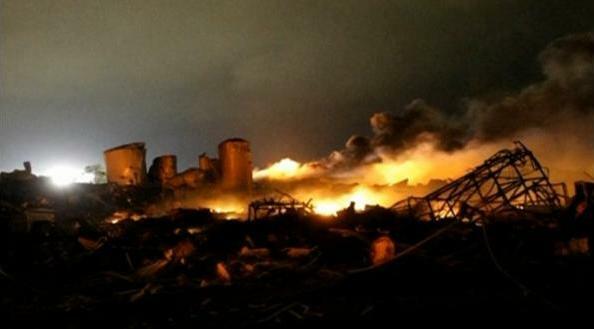 Much of the town was torched, including some 2,000 homes, causing many of the fatalities. Most of the bodies were charred beyond recognition. “Residents of Baga fled into the bush and only returned on Sunday afternoon to find much of the town destroyed and human and animal corpses strewn through the streets,” said a report. Since 2009, thousands of people have lost their life in the Boko Haram insurgency. China confirmed two new cases of human H7N9 avian influenza in Zhejiang Province. The total number of reported infections stand at 104, including 21 deaths, as of 4:00 pm Monday, Beijing time, said a report. Rising Grand River has inundated scores of homes in several western Michigan towns and communities, prompting the authorities to declare states of emergency in Grand Rapids and Kent county. The mayor of small town of Beardstown, has also declared a state of emergency, as Illinois River water levels continued to rise. Illinois Gov. Quinn has declared 3 additional counties disaster areas from flooding, raising the disaster declaration total to at least 41 counties. Flooding and high water across the Midwesthave been responsible for at least 6 deaths, reports said. 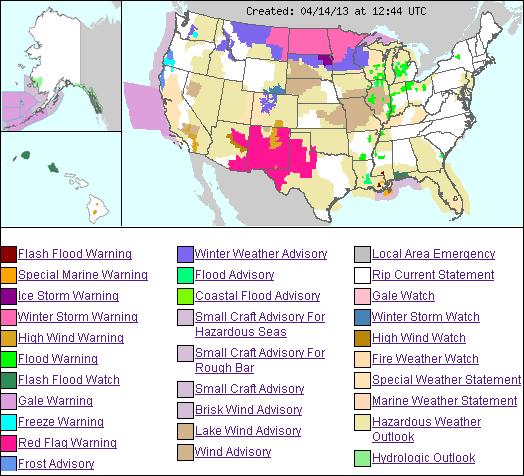 Flooding have been reported in six states, and Flood Warnings were in effect across parts of 14 states, as of posting. A 7.0-magnitude earthquake hit Lushan county of Ya’an city in southwest China’s Sichuan Province at 8:02 a.m. Saturday Beijing Time [00:02 UTC,] killing about 200 people and injuring many thousands more. The shallow quake occurred at a depth of 13km [centered at 30.284°N, 102.956°E, according to USGS] said the provincial seismological bureau. Governor Nixon has declared a state of emergency in response to heavy rain and flash flooding in much of the state. Many portions of NE Missouri received up to 5 inches of rain this week, causing streams and rivers to rise above flood stage, the National Weather Service (NWS) reported. Several Missouri counties have independently declared states of emergency issuing mandatory evacuation orders for hundreds of residents. Several counties in Indiana, including Boone and Tipton counties, north of Indianapolis, has declared states of emergency since Friday. NWS issued a flash flood warning for much of Indiana after most of the state received up to 5 inches of rain. Emergency workers have rescued dozens of people from flooded homes using boats. “Numerous homes are underwater or flooded, stranding homeowners and their families,” said Boone County Sheriff’s Department. 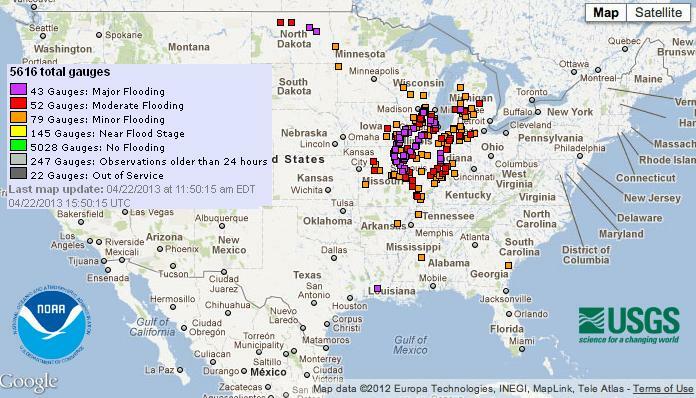 Flooding reported along dozens of rivers across the Midwest. Iowa Gov. Bransted has issued a disaster declaration for five eastern counties: Cedar, Johnson, Mahaska, Scott and Washington. Illinois Gov. Quinn has declared 38 counties disaster areas. “Illinois has seen an incredible level of devastation and reports indicate that conditions will get worse in the coming days. ” Quinn said. Lee County, Iowa, has declared a state of emergency due to recent heavy rains that have caused the Mississippi, Des Moines and Skunk rivers to begin rising and the expected flooding that will cause severe damage to public and private property, critical infrastructure, disruption of utility service, including but not limited to power generation, water and waste-water, and endangerment of health and safety of the citizens of Lee County within the disaster area.” The Lee County Board of Supervisors have declared. The Mississippi River’s level at Keokuk rose to 21.06 feet on Friday, more than 5 feet above the flood stage, and is expected to crest at 22.8 feet on Saturday, said a report. The towns of Bracebridge and Huntsville in Central Ontario, Canada have declared states of emergency, said a report. Heavy rain in Bracebridge has damaged infrastructure and evacuations in low lying areas could follow, the report said. Chinese health officials confirmed 5 new cases of human H7N9 avian influenza—one in Shanghai, one in Jiangsu and three in Zhejiang—raising the total number of reported cases to 96, with 18 fatalities, Xinhua reported. “A total of 33 cases, including 11 that have ended in death, have been reported in Shanghai. Twenty-three cases, including three deaths, have been reported in Jiangsu Province, and 33 cases, including three deaths, in Zhejiang Province. Anhui Province has reported three cases, with one ending in death. Beijing has reported one case and three have been reported in Henan Province,” said the report. At least 69 of the patients are receiving treatment in designated hospitals. UPDATE @ 12:00 UTC – 12 bodies have been recovered, at least 35 people are missing [some of the victims may have been vaporized in the inferno,] and more than 200 injured in the blast, officials have said. “Every house within about four blocks is blown apart,” the Waco Tribune quoted an eyewitness as saying. Texas state Gov. Perry said he would declare the area a disaster and request an emergency declaration for federal aid from the White House. Official have evacuated half of the town’s 2,700 population. West is located in north-central part of Texas about 20 miles (32 km) north of Waco. “The West plant is one of thousands of sites across rural America that store and sell hazardous materials such as chemicals and fertilizer for agricultural use, many within close range of residences and schools,” said a report. It’s not known why the planning authorities allowed so many residential units to be built so close to a fertilizer plant. Officials said there was NO evidence of foul play. Illinois Governor Quinn has declared a state of emergency as widespread flooding brought havoc to the Chicago area on Thursday, with another wave of storms forecast for the region. Several towns and counties have separately declared a state of emergency, including Elmhurst, Lisle and Lombard. “Quinn said a hospital in Morris had to be evacuated as well as two trailer parks currently under water. 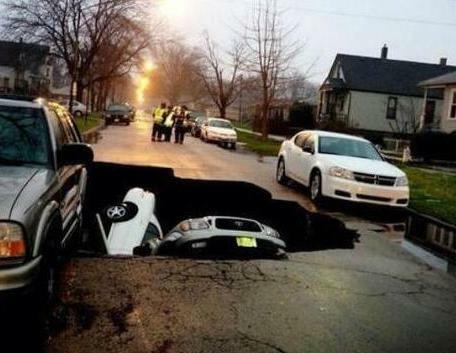 Residents have lost whole rooms of belongings, and in Chicago a sinkhole swallowed three cars, injuring a man,” according to a report. Mayor of Wyoming, Mich., has declared a state of emergency in the city due to flooding. Mandatory evacuations have been issued for the worst affected areas, said a report. A state of emergency has been declared in the city of Alma, Mich., due to flooding. “Flood levels are expected to continue through Wednesday, April 23,” said a report. Midland and Newaygo counties in Michigan have both declared a state of emergency due to flooding, said a report. State of emergencies declared in Benton County, Ark. Officials have declared a state of emergency in Benton County, Ark., after extreme rain events caused widespread flooding, said a report. Health officials in China have reported 7 new cases of H7N9 avian flu infections in Shanghai and the provinces of Jiangsu and Zhejiang, said a report. The latest cases raises the total number of H7N9 infections to at least 87, with 17 fatalities. The latest 3 (of a total of 30) patients in Zhejiang are said to be in critical condition. More than 50 percent of patients infected with H7N9 virus in China had no contact with poultry, said the World Health Organization on Friday. “As the investigation gets deeper we’re finding that more than half have had no contact with poultry”, O’Leary told a briefing. “It’s hard to definitively rule in or rule out chickens”, he said. “This is still an animal virus that occasionally infects humans. With rare exceptions, we know that people are not getting sick from other people.” The WHO’s China representative reported. At least 27 people were killed and 51 others wounded on Thursday when a bomb exploded in a cafe in the Iraqi capital Baghdad, reports said. At least 14 new cases of H7N9 avian influenza and two additional fatalities in Shanghai were reported by the Chinese authorities, raising the total number of infection to 77, and the death toll to 16, as of posting. Some 30 cases including 11 fatalities have been reported in Shanghai, 20 infections including 2 deaths in Jiangsu Province, and 21 cases including two deaths in Zhejiang Province. Anhui Province has reported three cases with one death; while Beijing reported one infection so far; and Henan Province has revealed 2 cases, the report said. Quake depth revised to 82 km (51.0 miles) by USGS/EHP . The 7.8Mw quake shook a vast region for 40 seconds. Tremors were felt throughout Middle-East, including Oman, the United Arab Emirates (UAE), Saudi Arabia, Kuwait, Bahrain capital Manama, as well as Pakistan, shaking buildings in Islamabad and Karachi, Afghanistan and Northern India, including the capital New Delhi. The quake killed dozens of people, injuring hundreds more and destroying at least 1,500 homes including many mud-houses in one Pakistani town alone. Officials have declared Minnehaha County, South Dakota, a disaster area, following the losses and damage caused by violent storm last week, said a report. Electricity consumption in energy-starved China for first quarter of 2013 rose 4.3 percent yoy to 1.21 trillion kWh, the country’s National Energy Administration (NEA) reported. About 75 percent of China’s total energy consumption and 80 percent of its electricity production come from coal. Another fatality and 3 additional infections from H7N9 bird flu virus has been reported in China on Monday, bringing the nationwide death toll to 14, and the number of infections to 63. A woman died from H7N9 virus infection in east China’s Jiangsu Province on Sunday after emergency treatments failed, said a report quoting the provincial health authorities. Of a total of 63 cases of H7N9 infections so far reported across China, 24 are in Shanghai, 17 in Jiangsu, 16 in Zhejiang, three in Anhui, two in Henan and one in Beijing, the report said. Authorities have deployed 700 firefighters to put out a large forest fire in east China’s Jiangxi Province, according to a report. The fire broke out in the Dexing City mountains at 3:00 pm local time on Monday, April 15, and was uncontained as of posting. The fire started after one or more persons torched wild grass to clear the land for planting, according to the report. At least three people have been killed and more than 130 injured, some critically, after two explosions at the finish line of the Boston Marathon ripped through the crowd. “Any event with multiple explosive devices – as this appears to be – is clearly an act of terror, and will be approached as an act of terror,” a White House official has said. A series of attacks across Iraq has killed at least 55 people and injured more than 300 on Monday, according to reports. “Monday’s violence marked Iraq’s deadliest day since March 19, the eve of the 10th anniversary of the U.S.-led invasion, when a wave of bombings killed 65 across the country.” AP reported. Latest Update [2013-04-14 19:23:48 local time]: “Shanghai reported two more deaths from H7N9 bird flu on Sunday, while three new cases were confirmed, local health authorities said in a statement,” said a report. The latest update raises the infection toll to 60, and the fatalities to at least 13. Two new infections of H7N9 avian flu were reported in east China’s Jiangsu Province on Sunday, bringing the total number of such cases in China to 57. “Eight new cases of human infection were reported nationwide on Sunday, with two in Henan Province in central China, two in Jiangsu Province and four in Zhejiang Province in east China. Of the 57 people infected thus far, 11 have died,” said a report. All four patients in east China’s Zhejiang Province were in serious condition, according to the provincial health department, said a report. The magnitude 6.0 quake that hit Awajishima Fukin on Apr 13, 2013, at 05:33 local time has reportedly injured two dozen people, 7 of them seriously, and damaged more than 1,900 homes. 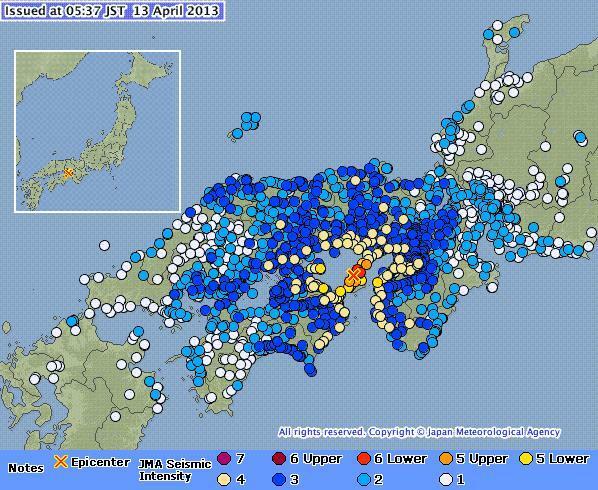 “The government’s earthquake research committee said Sunday an unknown active fault may have caused a magnitude 6.3 [revised down to M6.0 by JMA] earthquake that jolted western Japan early Saturday.” Kyodo reported. The fault reportedly extends about 10 km from north to south of the island, according to the committee. “There are many as-yet-unrecognized active faults,” warning that M6 quakes could occur anywhere in Japan, the committee chief has said. Source: Japan Meteorological Agency (JMA). Map enhanced by FIRE-EARTH. China has reported 33 cases of H7N9, including nine fatalities, in Shanghai municipality and the provinces of Jiangsu, Anhui and Zhejiang, according to the country’s National Health and Family Planning Commission. China shut down poultry markets in Shanghai on April 5 and began culling tens of thousands of birds as a precaution to stop the spread of a new, deadly strain of avian flu. “A top Chinese biology lab has ascribed the H7N9 avian influenza to genetic reassortment of wild birds from east Asia and chickens from east China,” said a report. “A virus carried by wild birds from the Republic of Korea and other east Asian regions mingled with the avian influenza virus carried by ducks and chickens in the Yangtze River Delta during migration,” researchers said. “Colony Collapse Disorder (CCD) is a serious problem threatening the health of honey bees and the economic stability of commercial beekeeping and pollination operations in the United States. ” USDA said. 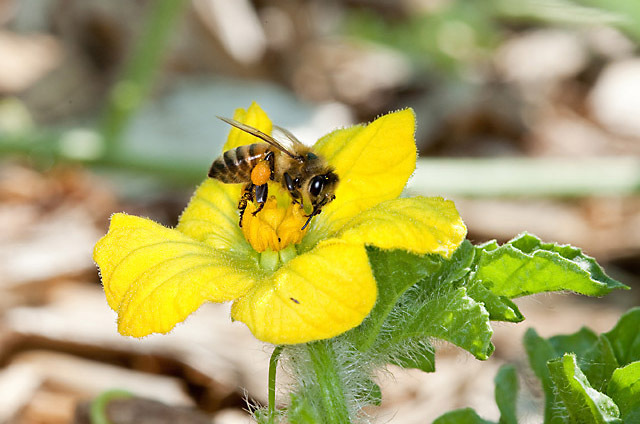 Bee pollination adds more than $15 billion in increased crop value in the U.S. each year. The number of managed honey bee colonies has dropped from more than 5 million in the 1940s to less than 2.5 million today. The almond industry in California requires the service of 1.4 million colonies of honey bees. Losses from the winter of 2006-2011 averaged about 33 percent each year, with a third of all losses attributed to CCD by beekeepers. Total losses of managed honey bee colonies were 21.9 percent nationwide for the 2011/2012 winter, according to the annual survey conducted by the USDA. Neonicotinoids are a class of neuro-active insecticides chemically related to nicotine. The European Food Safety Authority recently stated that neonicotinoids pose an unacceptably high risk to bees. The American Bird Conservancy recently published a review of 200 studies on neonicotinoids and called for a ban on neonicotinoid use as seed treatments due to toxicity to birds, aquatic invertebrates, and other wildlife. A coalition of beekeepers, conservation, food campaigners and sustainable agriculture advocates sued EPA last month on grounds that the agency has failed to protect the bees.